what aspects of parents' learning can be outcomes of impactful partnership? The second aspect of the outcomes of partnership focuses on parents' learning domains. The seven different learning domains are important as they are signposts to progress. Being alert to them can aid reflection and may help to capture outcomes that would otherwise be missed. They can also be shared and discussed with parents as a way to help them see progress being made and to negotiate priorities. Parents’ learning is also sometimes an outcome in itself (this is a key part of the framing idea of diverse impacts). 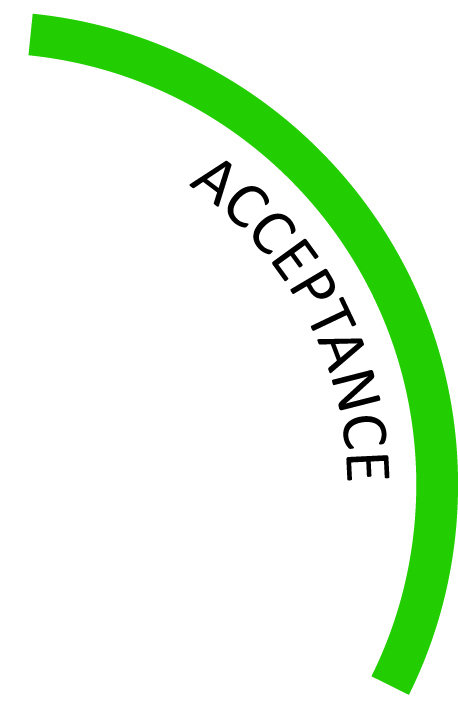 Trust, acceptance and openness are essential conditions for parents’ learning. They apply to both helpers and parents. We found seven domains of parent learning that are connected. These were all features of the impactful partnership relationships that we studied. Each represented expansion in the ways parents interpreted and/or acted. This learning is not a simple matter of transferring what helpers to know to parents (see key concept box); rather it is a question of productive entanglement between what helpers know, what parents previously knew, and new knowledge that emerges through the process. Impactful partnership involves more than meeting parents’ goals. Parents’ learning across these seven domains is a big part of what empowers families and builds their resilience, not just to their present problems, but to those they will encounter in future. When understood in this way, parents’ learning is closely connected with their developing agency (see key concept box in noticing section). The learning domains and the three conditions that enable learning across those domains are shown in the diagram below. Because these outcomes are all about what parents learn, this section is written from the parent’s point of view. The diagram also takes this perspective. As a way to help make progress visible to parents – signs of learning in these domains may be visible before a goal has been accomplished (and helper expertise is needed to recognise these signs). The three central features of trust, acceptance and openness can be used as mediating tools (see key concept box in relation to what matters: parent-child): they can provide a focus of attention that shifts effort away from a problem itself and redirects it towards the nature of the solution. Although the idea of parents’ learning may seem obvious, we use it with a particular meaning. This is especially important in the context of understanding impactful partnership. Parents’ learning is not simply about them acquiring knowledge from helpers. Nor is it about figuring out the solution to particular problems. Consistent with the Vygotskian approach we take, we consider parents’ learning as relating to ways in which their possibilities for interpreting and acting in the world expand. By interpreting, we mean ways of making sense of the world, seeing meaning, making connections, understanding what is relevant to a particular issue. By acting in the world, we mean things parents do and say. The two are linked: new interpretations can lead to new actions being possible or seeming helpful, while new actions can lead to new ways of making sense of something. Parents' learning is undermined if they do not trust themselves as parents. Trusting themselves provides a basis to take on challenges, and to feel legitimate as a knowledge partner when working with others. Parents also need to trust those helping them: trust that helpers have their and their children's best interests at heart, and that they can share difficult things with helpers as intimate outsiders who will not give up on them or disappear when things get tough. This trust is not automatic, and is often hard-earned, especially when families have had poor or difficult relationships with services in the past (see building impactful partnership relationships). Helpers also need to trust parents. This means trusting them to be committed to the partnership, trusting them as knowledge partners, trusting them to be committed to change in relation to issues that matter to them, even if at times they do not follow through with suggestions, or seem ready to give up. Being trusted by others, particular professionals, can be a new and empowering experience for parents, and can help them reconsider themselves as worthy of trust when the messages they get from others often seem to suggest otherwise. Acceptance means parents accepting that parenting is difficult. In turn, this means accepting the fact that struggling as a parent does not mean they are failing as a parent. For many parents, accepting help is not easy, but this is crucial if they are to learn. The acceptance of help is most productive when parents retain a sense of their own agency. Parents also need to accept inevitable challenge if change is to be accomplished. To learn as parents, they must accept themselves as capable, good parents, even if they don’t (yet) recognise that deep down. Helpers also need to accept parents for who they are. This is part of being authentic and meeting parents as people (see characteristics of impactful partnership). Accepting parents for who they are does not mean accepting all of their views or behaviours, particularly views of themselves as failures, or behaviours that pose a risk to child safety. But it does mean that the parents' experience of learning needs to include the feeling that helpers are supporting them, not trying to change who they are. Openness is crucial, too. This means parents having an open mind, so that potentially narrow ideas about what is possible and how to get there are no longer barriers to progress. Helpers need to be open to what matters to parents. Openness also refers to communication with helpers. Helpers have to be open (for example about mandatory reporting), and establish conditions in which parents will also feel comfortable being open. Children’s preference being for a warm relationship with caregivers. The importance of their own wellbeing and self-care, and ways to protect and nurture these. How any change affects all members of the family. How to manage relationships, including dealing with rupture and repair in their relationships – including with helpers (see essence of partnership), partners, extended family, and their children. How to find and secure that help. Many parents also learned that getting help isn’t a sign of weakness, but rather takes strength. Realising that changing what they do as parents is important in moving forward, but this doesn’t mean parents are to blame for problems in the first place.